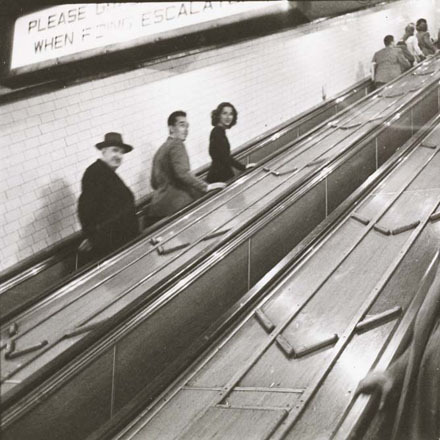 As most New Yorkers know, the subway system is the lifeline of New York City. 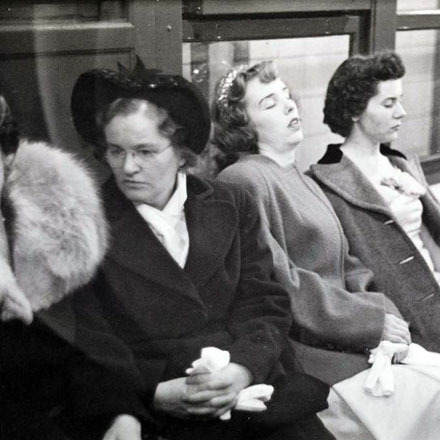 In 1946, Stanley Kubrick set out as a staff photographer for Look magazine to capture the story of New York City’s subway commuters. 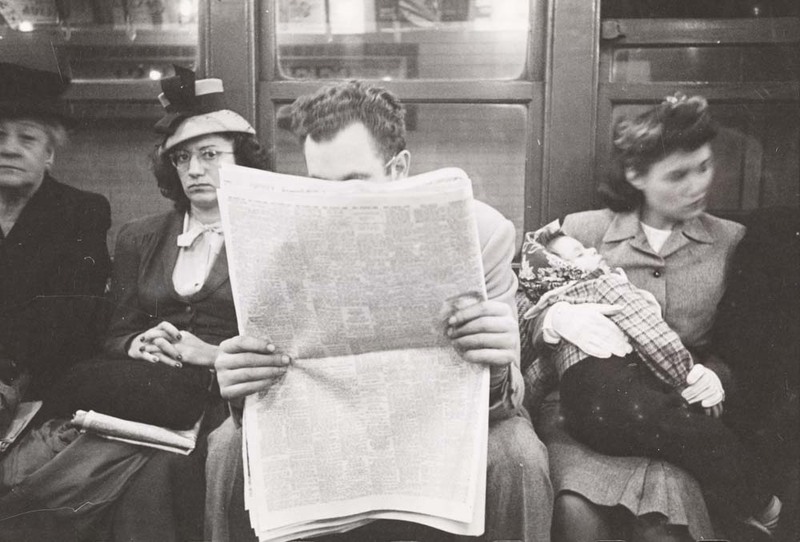 Kubrick was not the first photographer to depict the New York City subway. 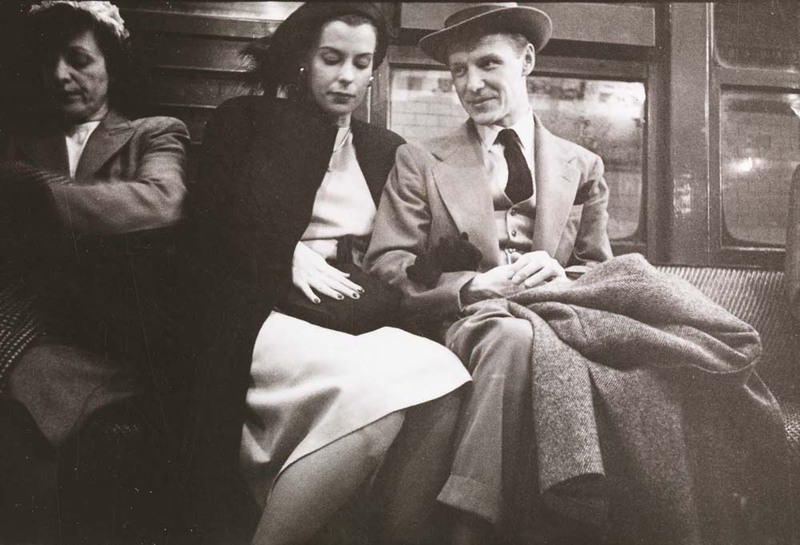 In 1938, Walker Evans shot many amazing portraits of unknowing riders with a camera hidden in his coat. 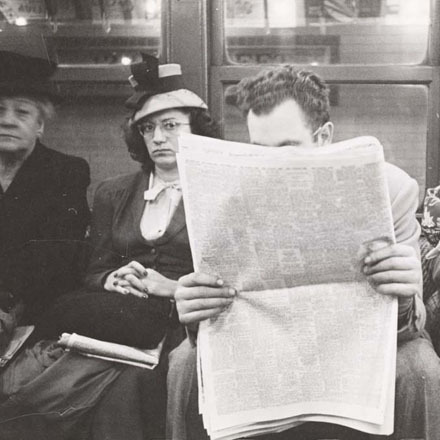 This may have influenced Kubrick’s work. 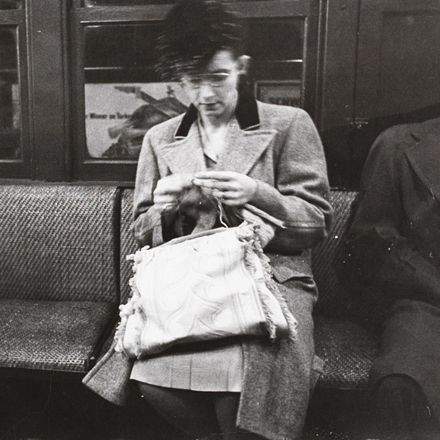 This Kubrick image is a very “shot from the hip,” Walker Evans-style portrait. 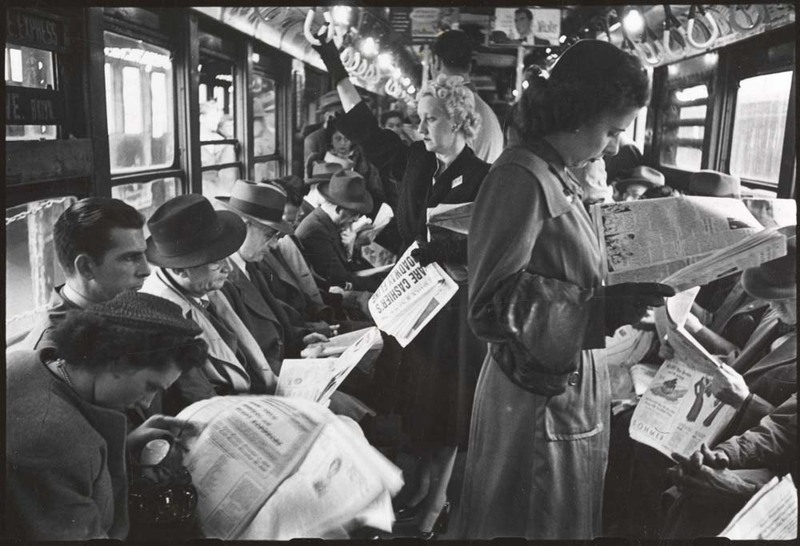 As you can see below, with the exception of iPods and smart phones, activities on the train haven’t changed much in the last 66 years, including shoving one’s newspaper in everyone else’s faces. 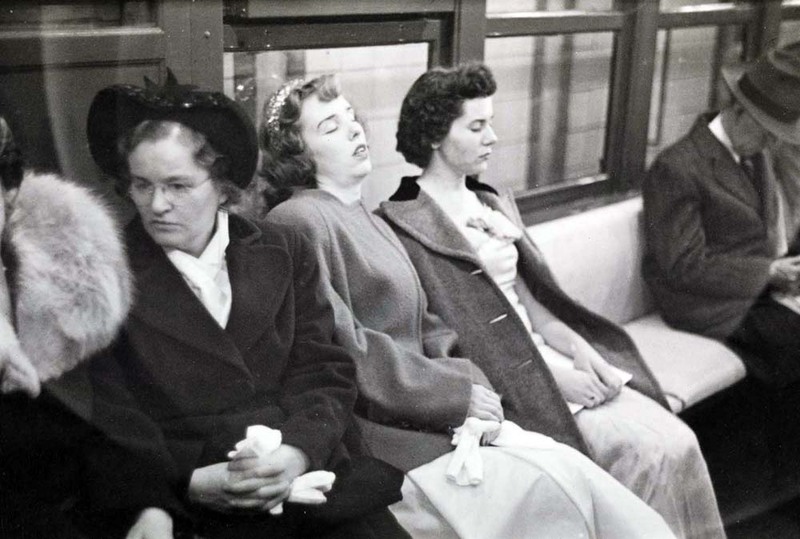 Although it is now claimed that chivalry is dead, it was definitely waning in 1946. 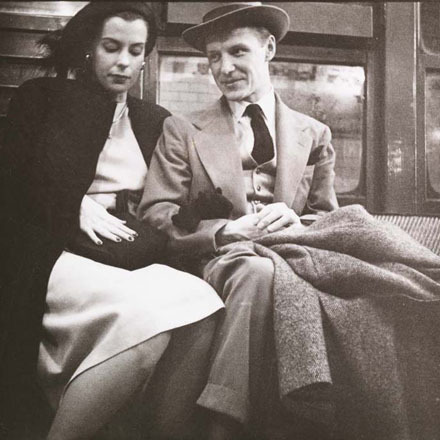 But romance still thrived on some trains. 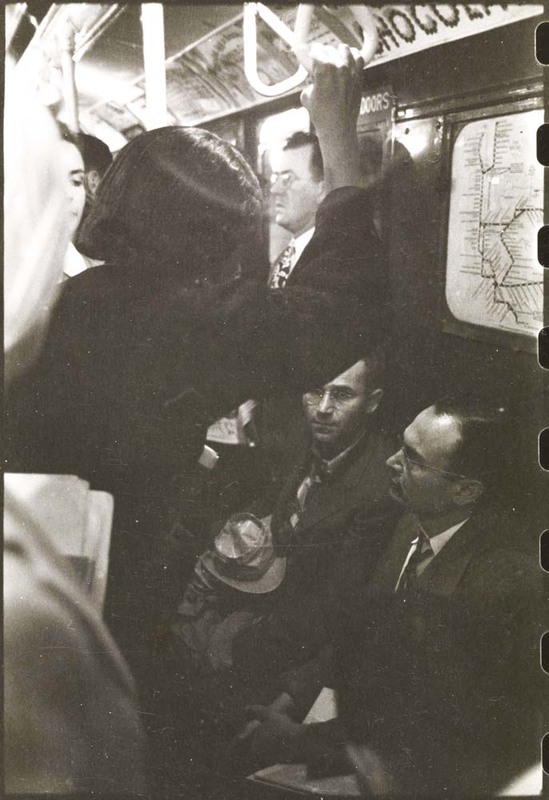 “I wanted to retain the mood of the subway, so I used natural light,” he said. 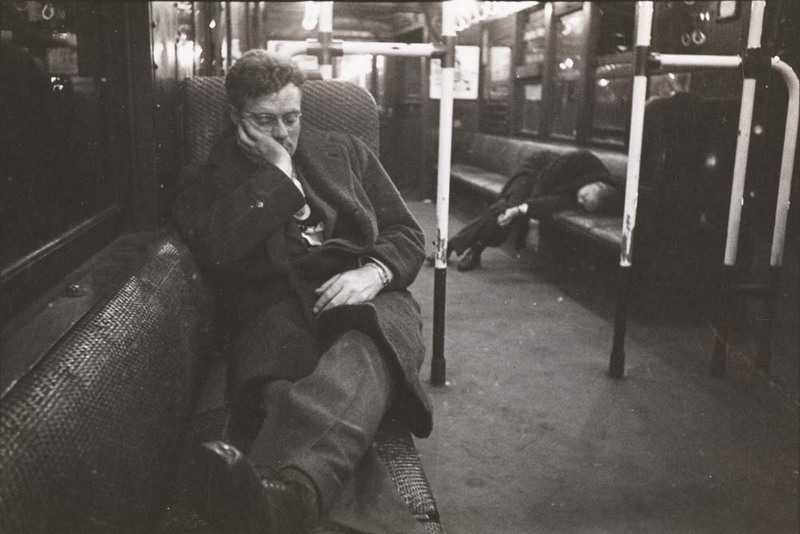 People who ride the subway late at night are less inhibited than those who ride by day. Couples make love openly, drunks sleep on the floor and other unusual activities take place late at night. 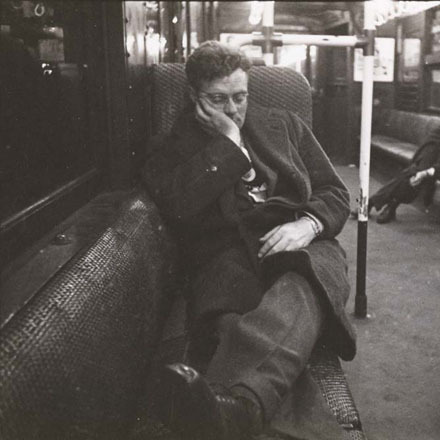 To make pictures in the off-guard manner he wanted to, Kubrick rode the subway for two weeks. Half of his riding was done between midnight and six a.m. Regardless of what he saw he couldn’t shoot until the car stopped in a station because of the motion and vibration of the moving train. 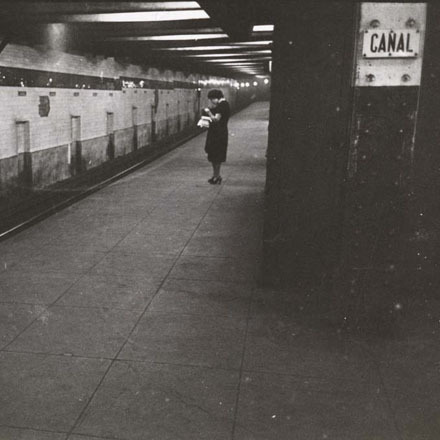 Often, just as he was ready to shoot, someone walked in front of the camera, or his subject left the train. 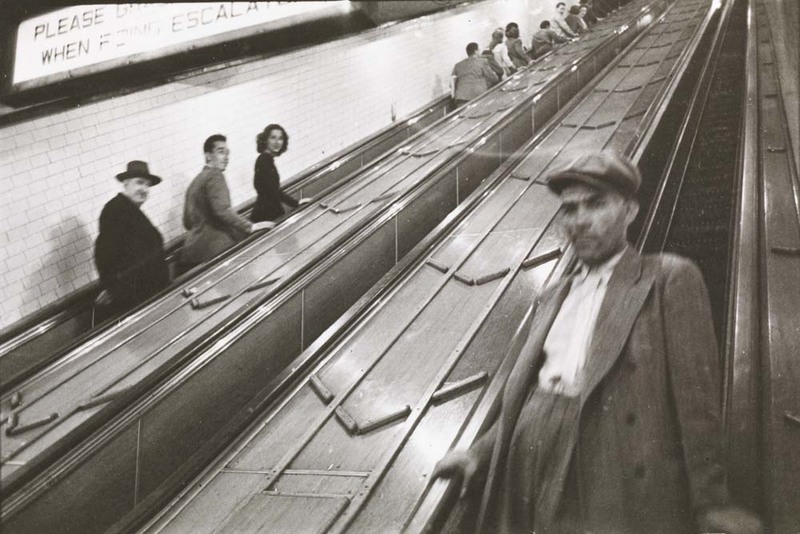 Kubrick finally did get his pictures, and no one but a subway guard seemed to mind. The guard demanded to know what was going on. Kubrick told him. “Have you got permission?” the guard asked. “I’m from LOOK,” Kubrick answered. 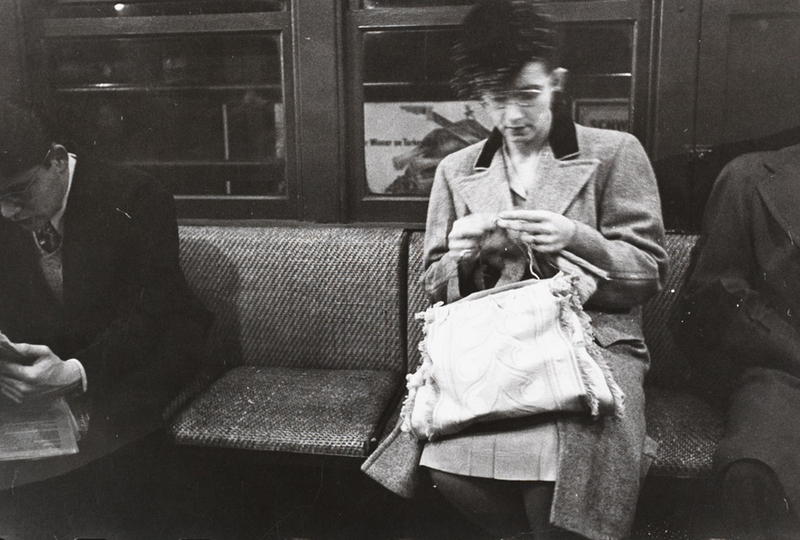 For this series Kubrick used a Contax and took the pictures at 1/8 second. 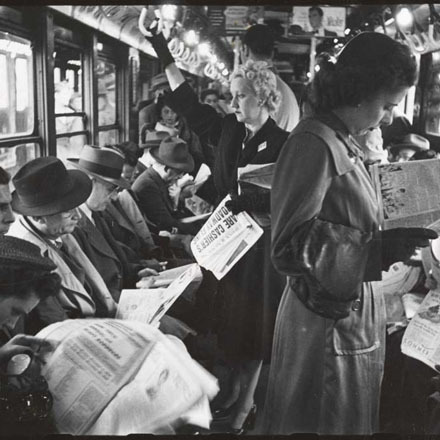 The lack of light tripled the time necessary for development. 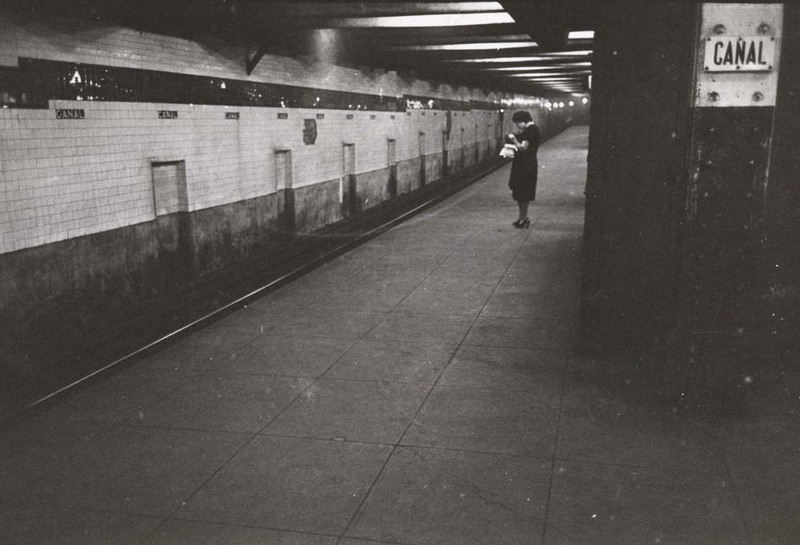 Stanley Kubrick's 1947 pictorial of Mickey, a 12-year-old boy from Brooklyn who shines shoes for 10 cents a pop. The Beach Pneumatic Transit Company – just a bunch of hot air? 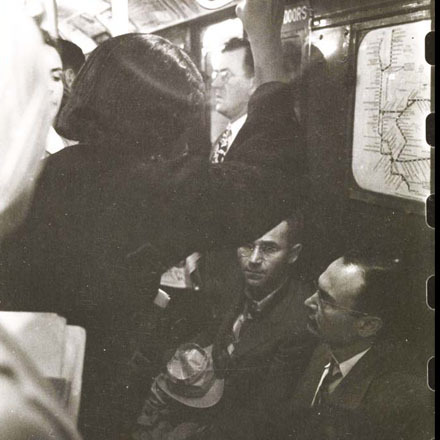 The story of a forgotten transit line, one powered entirely by forcing air through a tunnel.